Ideal for use in all kinds of woodworking applications while gluing and clamping; or for use in securing tarps. Strong ratchet action provides max clamping power. Soft, non marring pivoting jaw pads. Quick release. 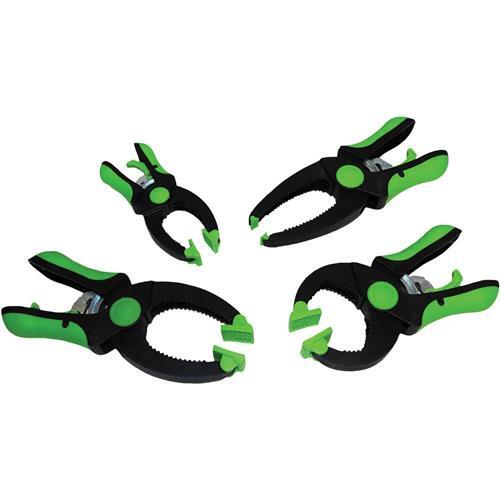 4 pc set of ratchet clamps includes: 3" ratchet clamp, 1-1/2" ratchet clamp, 3" long nose ratchet clamp, and 2" ratchet clamp.